Crosstown's most sought-after location - Paris Place. A modern city home featuring big, open airy living spaces. This immaculate 966 sq ft two bdrm two bath plus den/office-corner suite has magnificent exposure both north and west. A complete professional renovation with meticulously executed details and features beautiful hard-wearing laminate flooring, crown moulding and focal-marble surround gas F/P. The new modern kit features granite countertops & Siemens S/S appliances. 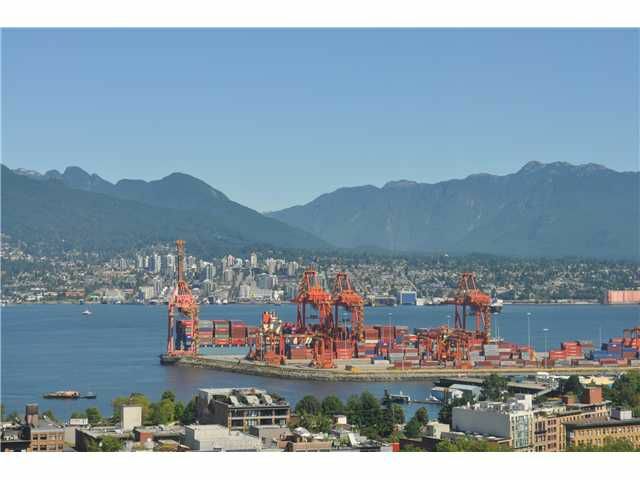 The entertainment sized terrace has vibrant City Skyline, North Shore Mtn & Burrard Inlet Water views. Meticulously maintained & managed building with gym, large indoor pool, hot tub, sauna, games room & meditation garden. Perfectly positioned in a friendly walkable neighbourhood with all of the shopping, dining & transportation surrounding you at every turn - this home offers you the best of everything, within easy reach.